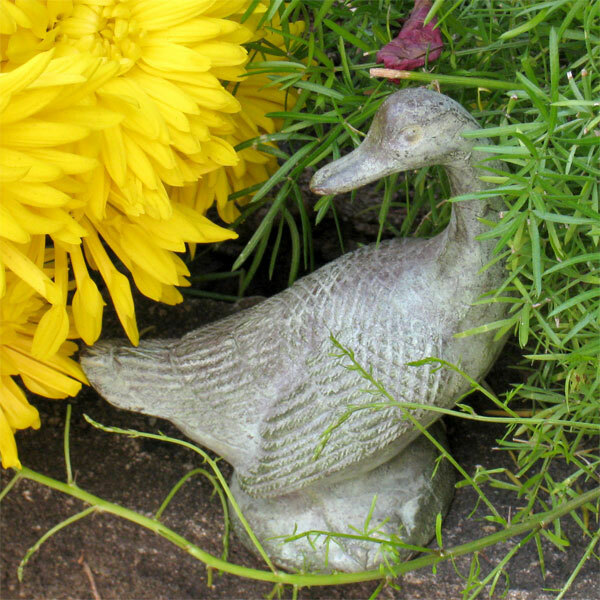 The ducks are without doubt the most irresistable and best selling garden decoration we have to offer. 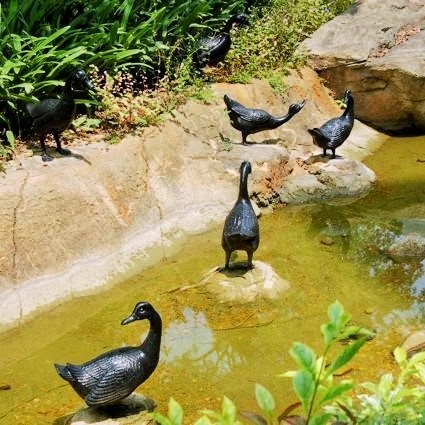 The former Governor of Hong Kong as well as the Prince of Wales have purchased these ducks for their gardens from the showroom in Hong Kong! The ducks come in 3 sizes and poses. 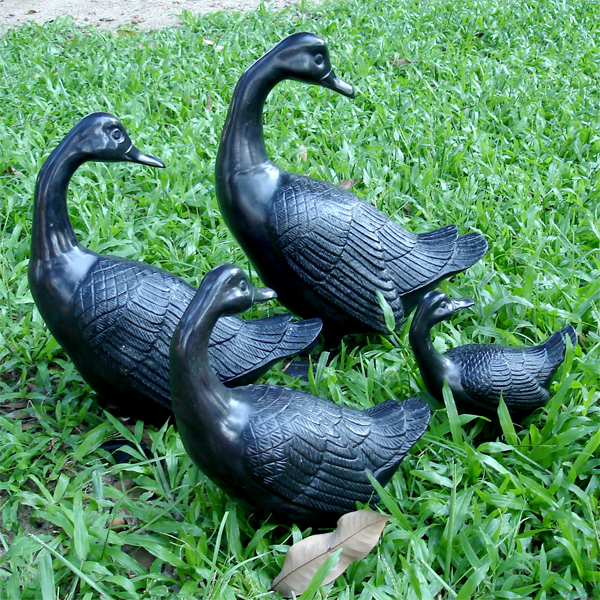 Careful selection of the sizes and poses will create a unique duck family for you home. 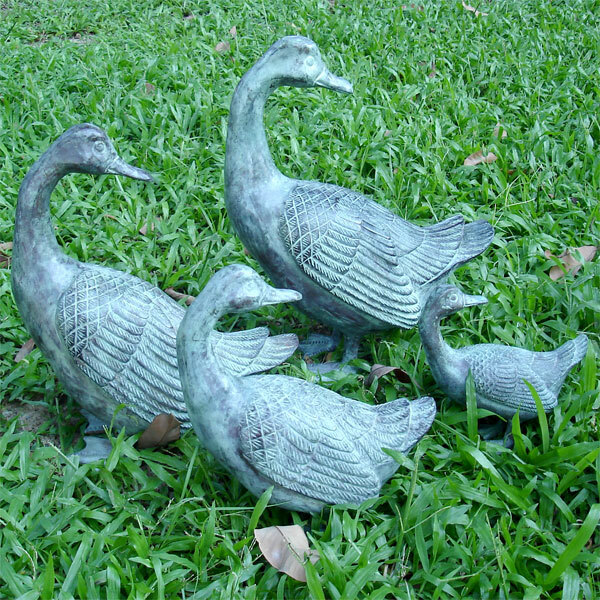 These hand made ducks are constructed of heavy walled brass that is sand casted, hand worked and chemically oxidized to bring out the natural green coloured patina, characteristic of oxidized brass. Its patina finish will get more intense and colourful as it weathers outdoors with the family. Complete the family with the Ducks Looking Back and the Ducks Looking Down. 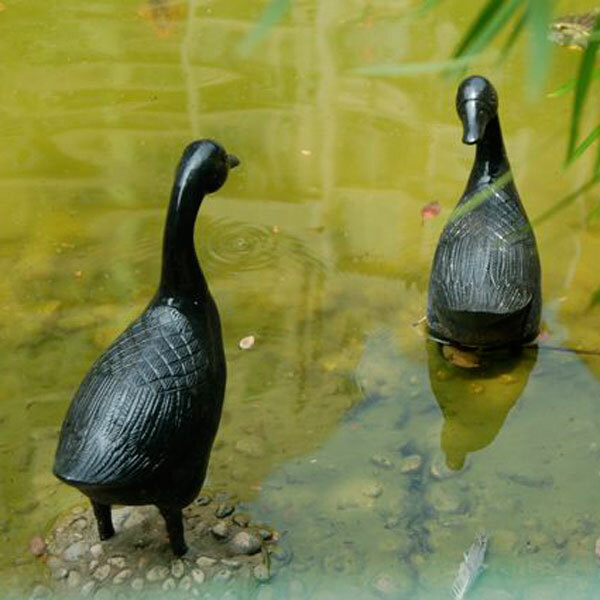 Black and verdigris patina can be displayed indoors or out. Our oxidized brass in natural verdigris and black will weather beautifully outdoors.